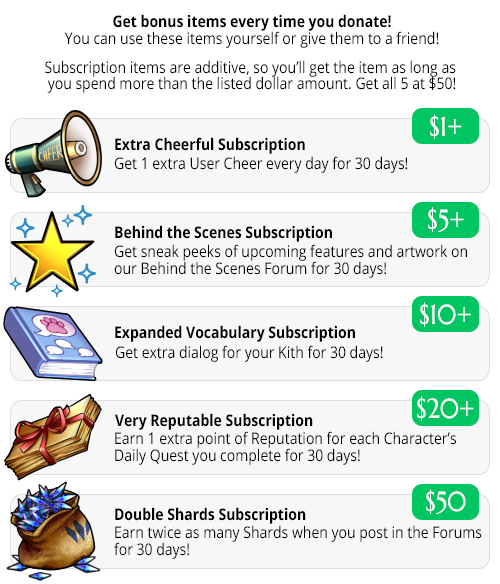 There are lots of ways to support the site with Gems! Speaking of support, did you know that you can get bonus Subscription perks every time you donate money to the team? Take a look at what we have to offer! What is it you&apos;re looking for in the premium shop? Kith: Make my Kith special! Clothing: Show me what I can wear! Account: Ugh, make this site easier! Characters: Show me more of my favorite character! Forums: Spruce up my posts! The Name Tag lets you rename your Kith. You can check what your Kith&apos;s exact Personality points are with the Personality Test, and if you don&apos;t like what you find, use a Change of Heart to permanently set their Personality exactly the way you want it! Want another Kith? No problem! Buy a Kith Nest to instantly expand your Kith Alliances by 1. If there&apos;s a special Kith you want from another user, you can use the Foreign Alliance to Trade any number of Kith! Your Kith&apos;s color can be changed with a Basic Tattertint or Mixed Tattertint, based on which color you want. You can preview ALL the Kith colors here! Some Kith Stages are Premium only. Each Premium Kith Stage has a special premium item used to teach your Active Kith a new form. You can preview ALL the Premium Kith Stages here! If you&apos;re struggling to raise your Kith&apos;s Abilities, you can try using one of the First Class items designed by our Kickstarter backers! Each one raises a Kith&apos;s Abilities more than any usual item does. You can increase the number of Equipped Items you can wear in the Dressing Room with a Clothes Hanger. We have a LOT of premium clothing available - too much to fit on this page! For detailed previews of ALL our premium clothing, click here! Is that STILL not enough clothing for you? Well, now you can make your own designs with the Custom Clothing Submission! You can choose to make your design private, available only to you and anyone you give it to, or public, available for sale in Backstage Broker. If you decide to sell your item publicly, you&apos;ll earn 25% of every sale! Check out the Rules for more details. If you need more organization, the Lockbox tab at the Bank of Hope has one free slot with which to store your items and money! It&apos;s very handy for setting aside a present or giveaway prize you plan to use later. You can buy additional slots with the Silver Lockbox or Golden Lockbox! Quests can be really time-consuming sometimes, so skip the line at the shops with one of these handy items containing some of the most common Quest items! On the Forums, you can show off your favorite Remnant or Character by purchasing a Banner to change the blue background around your avatar! You can preview ALL of the available Banners by clicking here! You can also customize the little icons next to your links with the Pick A Part: Link Icon! 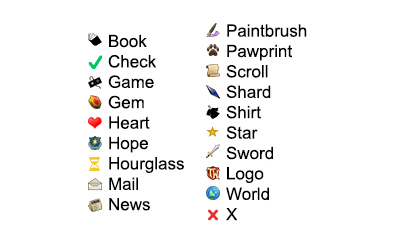 Need more heart color options for your link icons? 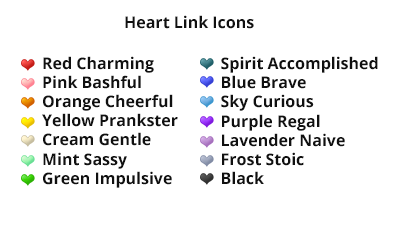 Try our new Pick A Part: Heart Link Icon!